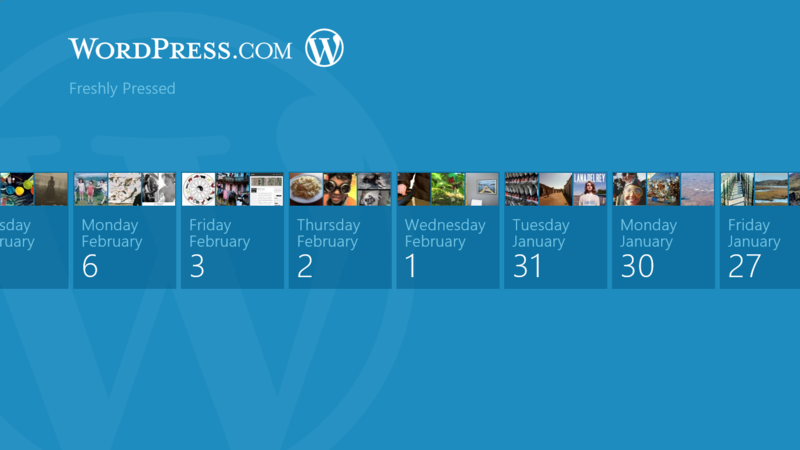 WordPress has today announced that its app for Windows 8 is available on the new Windows Store. The app has been built completely in the Metro style and integrates some of the new Windows 8 features. This app coincides with the Windows 8 Consumer Preview release earlier today and offers us an interesting look at how many of your popular apps might look when passed through the unique filter of Microsoft’s new Metro interface. 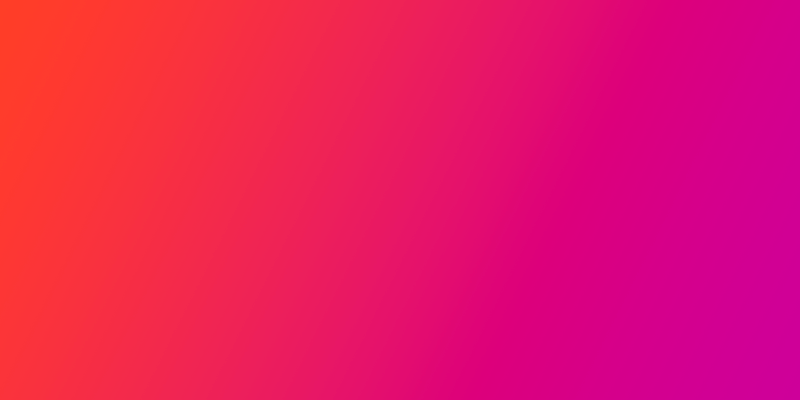 There is a distinctly ‘horizontal’ vibe to the whole app, which presents content from its Freshly Pressed section as tiles and then as columns in the readable view. This isn’t a full-featured WordPress publishing tool for self-installs, but instead a way to browse content from WordPress.com and to quickly reblog content you find there. You can also share photos links and quotes from any app on your blog. The look is clean, with a Metro-focused interface that focuses on typographic elements. This ends up working fairly well for a WordPress.com app, but does leave us wondering how other apps will translate. The app also makes use of the share charm, one of the cross-application sharing options that Windows 8 offers apps. 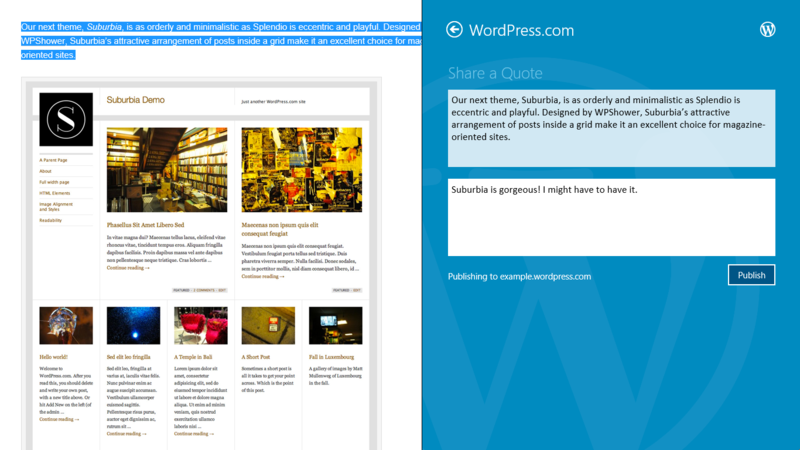 Beyond just reblogging, you can share content from any app in Windows 8 to your WordPress.com blog. Just open the Share charm, and you’ll find a posting interface customized to the type of content you’re sharing — whether that’s text selected on a web page, or a picture from your photo library. You can also use the “semantic zoom” feature of Windows 8, which is basically a version of the ‘pinch-to-zoom’ gesture available on tablets. This will take you out to a view of posts by date. If you’ve installed the Windows 8 Consumer Preview, you can grab the app here. If you have yet to install it, you can get it here. Also be sure to check out our ‘everything you need to know about Windows 8 Consumer Preview’ post here.